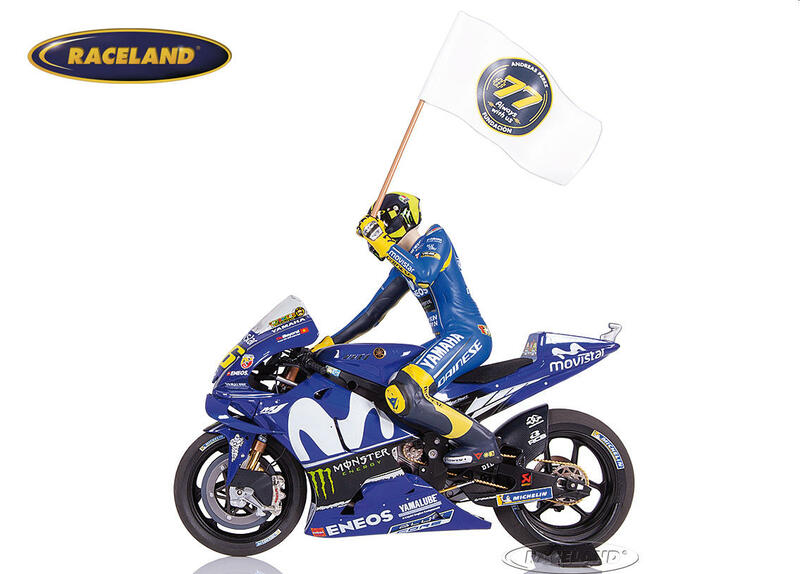 The product "Yamaha YZR-M1 Movistar Yamaha 3° MotoGP Catalunya 2018 Valentino Rossi with figure and flag" was successfully added to your wishlist. 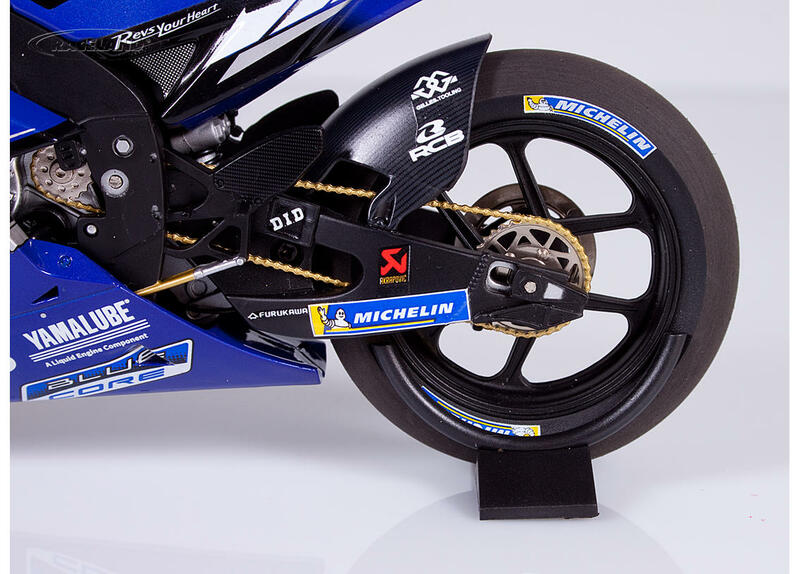 Minichamps 1/12th scale. High quality diecast motorbike model with plastic parts 1/12th scale. Model size approximately 17 cm. 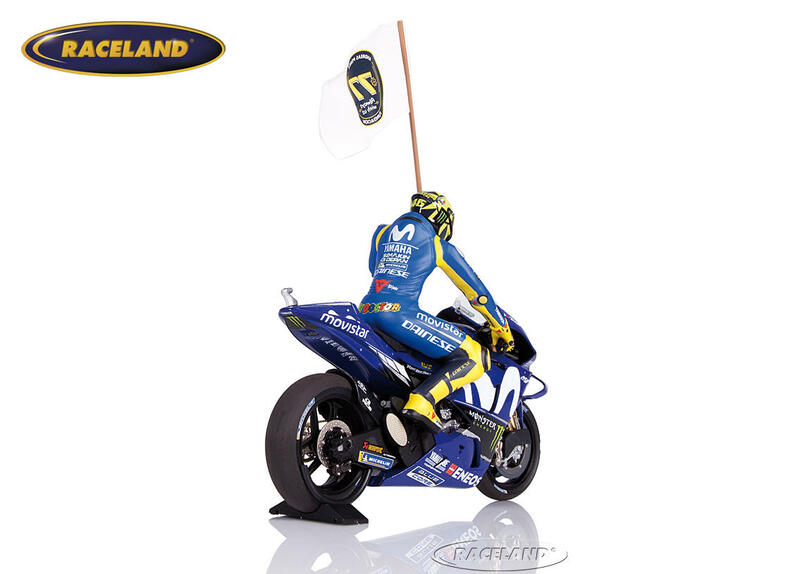 This model comes with additional Valentino Rossi figure holding flag on lap of honour.